Cast and crew offer more juicy details on the upcoming CBS All Access original series. 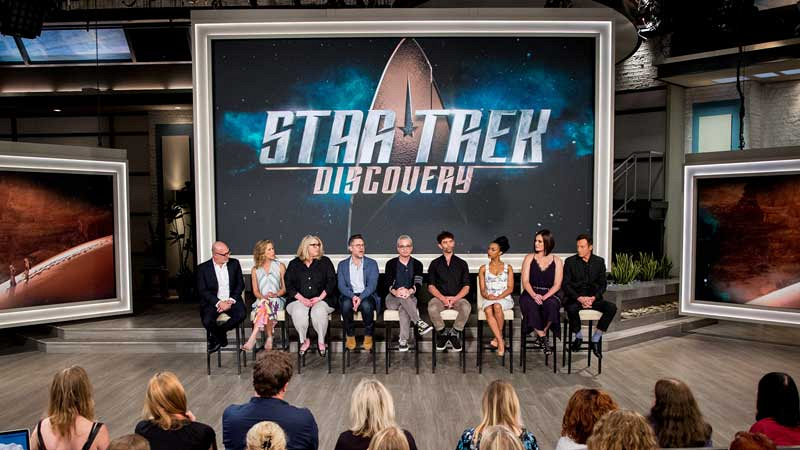 On Tuesday, during the CBS TCA Press Day, the cast and crew of Star Trek: Discovery left their marquee panel with a resounding mission statement—that this iteration of the beloved franchise will boast unprecedented conflict, long-form storytelling, and serialization. 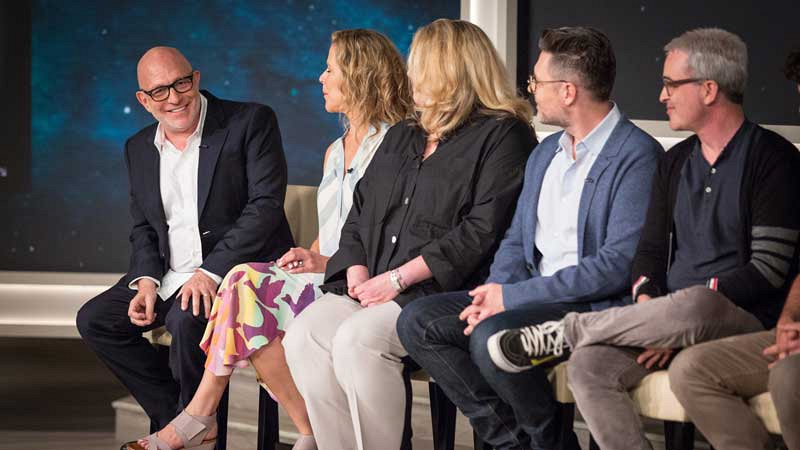 "It's the most serialized Star Trek," Executive Producer Akiva Goldsman said of Discovery. "You will find this to be far more serialized than Deep Space Nine, even in its [last few] seasons ... It's long-form character storytelling." 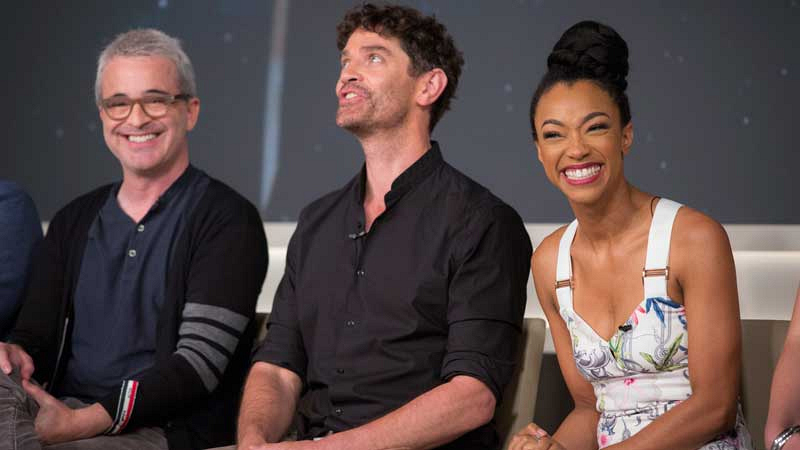 "It's one thing to speak of a utopia," said Sonequa Martin-Green (First Officer Michael Burnham) while explaining how those ideals have influenced the franchise and the new series. "To be able to see it in action, to see us aspiring to it, we haven't reached this perfection yet, but we're trying—and I think it's going to be really compelling because you’re seeing us try and fail and try again." Jason Isaacs (Captain Gabriel Lorca) expanded on the notion: "With [our show], you can start the discussion," drawing a contrast to other versions of Star Trek, which would often encompass the entire discussion in a single episode. "That's the richness that you get from a long-form story." As for the on-screen presentation, EP Alex Kurtzman emphasized, "This show is massive. It's massive, massive, massive." With almost all practical sets as well as incredibly elaborate costumes and character designs, it was imperative that everything remain up to the production's standards. "We just wanted to do it right," Kurtzman continued. "We took our time, and hopefully now you're seeing the results of the work everyone has done here." 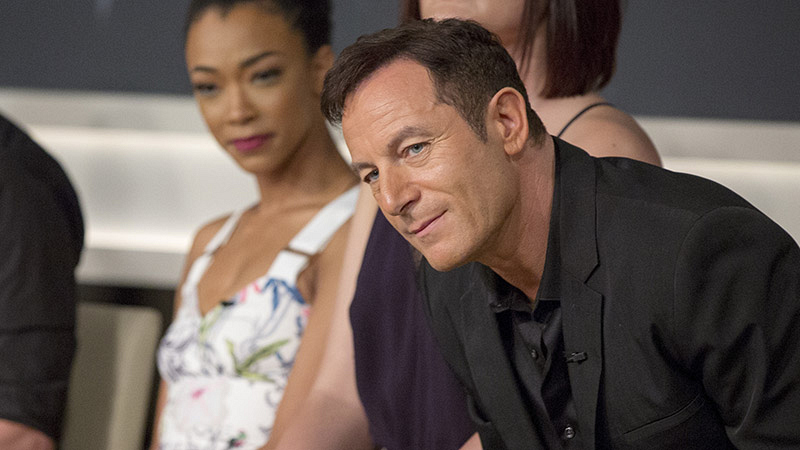 Sonequa echoed the EPs' sentiments about the sheer size and scope of the new series—and the responsibility. "Our cups are running over with gratitude and excitement, and we're bursting at the seams from the weight of it and the breadth of it," she said. "We couldn't be more thrilled to share this journey with you, because we understand its significance. We know that we're telling a story we believe in. "Everybody is so passionate, the craftsmanship here [in front of and behind the camera] is nothing short of stellar. This is an epically grand yet microscopically tuned, deeply emotional story. We don't take it for granted. We don't take it lightly; I certainly don't." Later, the EPs addressed the decision behind giving Sonequa's character a traditionally male name, "Michael." "That was [Bryan Fuller's] idea," Kurtzman said. "I think he just felt that name." "We talked about it in the entire room," said Executive Producer Aaron Harberts. "And, of course, an archangel is named Michael as well, and it just had a lot of potency for us." While not necessarily canon, Sonequa added that she worked the name into her own personal backstory. "[I] decided for my creation, and for my background, that I was named after my [biological] father," she said. "We get a little bit of exploration of the father-daughter dynamic. I think it's a lovely symbol." Above all, Star Trek: Discovery will aspire to Star Trek creator Gene Roddenberry's original vision for the franchise. "I think the defining characteristic of Mr. Roddenberry's universe is optimism," Kurtzman explained. "We talk about that all the time. We are working with [Roddenberry's] son to make sure that legacy—it's not a small thing we've inherited; it's a huge thing." Like many of the cast and producers on the panel, Jason was a fan growing up. He recalled that when he was a boy in England, his siblings would argue over which of three television channels they would watch on any given night. But when Star Trek was on? "There was no argument!" "The idea of being in Star Trek was impossible for me to imagine," said James Frain, who plays Sarek. "I loved it ... I can’t find the right words!" 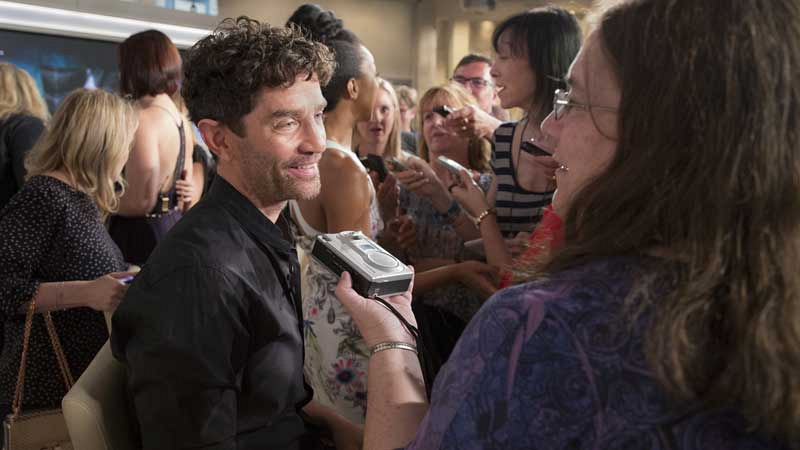 Looking ahead, the cast and crew offered a special treat to the audience gathered inside the room: a behind-the-scenes look at the recording session for Discovery's main title theme, which runs about a minute and a half. It was composed by Jeff Russo and brought to life by a staggering 60-piece orchestra. Keep your ears perked up to find out more about the new theme and all things Star Trek: Discovery in the weeks ahead.